The full text of the proposed changes is available online. If you are interested in learning about these changes in person, please come to our public hearing on Friday, April 19. Public hearing: 10 a.m. to noon, Friday, April 19, UWPD Conference Room. If you have any comments or feedback regarding these updates, please contact the Rules Coordination Office at rules@uw.edu. I understand that in order to participate in the U-PASS Program and for the U-PASS function of my Husky Card to be active for use I must pay the established U-PASS fee and remain in compliance with U-PASS Program eligibility criteria. U-PASS Program eligibility criteria are specific to each campus program and are available at: http://u-pass.washington.edu. I will utilize the U-PASS function of my Husky Card in conjunction with the ORCA transit payment system for my personal transportation provided by participating transit agencies. I will not transfer my Husky Card or the U-PASS function of my Husky Card to any other person. I understand that my use of the U-PASS function of my Husky Card and any other ORCA products on my Husky Card may be remotely disabled/blocked from further use and my Husky Card may be subject to immediate confiscation if I misuse this benefit. b. Other transportation discounts and offerings based upon my U-PASS membership as described in my campus’ U-PASS web page, available at: www.u-pass.washington.edu. I understand that if I purchase a U-PASS as a University faculty or staff member at Seattle, Bothell or Harborview campuses, the U-PASS function of my Husky Card will not be ready for use for approximately two (2) days following purchase of my U-PASS membership. I understand that if I purchase a U-PASS as a University faculty or staff member at the Tacoma campus, the U-PASS function of my Husky Card will not be ready for use for approximately two (2) business days following the purchase of my U-PASS membership. I understand that if I obtain a U-PASS through the Universal U-PASS program on the Seattle campus, the U-PASS function of my Husky Card will be ready for use approximately one (1) week prior to the start of the next quarter if I register for classes nine (9) or more days before the quarter start date or within approximately two (2) days if I register for classes less than nine (9) days before the quarter start date. If I am a student who is not eligible for Universal U-PASS and purchase a U-PASS, the U-PASS function of my Husky Card will be ready for use one (1) week prior to the start of the next quarter if I purchase a U-PASS nine (9) or more days before the quarter start date or within approximately two (2) days if I purchase a U-PASS less than nine (9) days before the next quarter start date. I understand that in order to utilize the U-PASS function I must first finalize activation of the U-PASS function by tapping my Husky Card on an ORCA card reader. I understand that the U-PASS function will not be available for transit services if I do not finalize activation of the U-PASS function for use within 60 days of obtaining my U-PASS, obtaining a replacement Husky Card, and/or when my U-PASS is renewed or reactivated. I understand that in the event that the U-PASS function activation is not finalized within 60 days of obtaining my U-PASS I must go online to www.u-pass.washington.edu/reactivate to request reactivation of the U-PASS function or contact the office facilitating the U-PASS program at my campus. I understand that the University of Washington will not be held liable for any transportation costs incurred by me between the time of purchase and activation of the U-PASS function. I understand that prior to or upon boarding the services outlined in section three (3) or entering a fare paid area, I am required to pay the posted fare with the U-PASS function of my Husky Card by tapping my Husky Card on an ORCA card reader. I understand that my failure to do this may subject me to a warning or fine from the applicable transit or law enforcement agency. 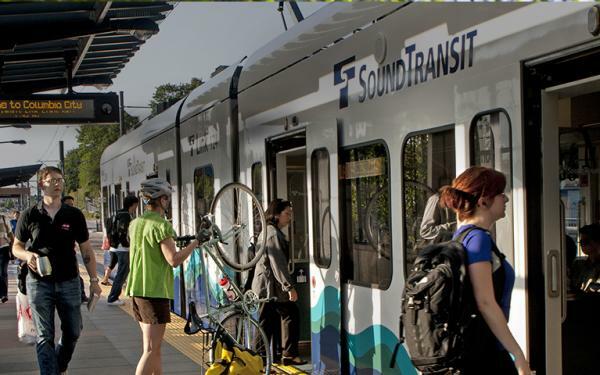 I understand that Central Link Light Rail, Sounder, Rapid Ride and Swift services require that I present my Husky Card to any Fare Enforcement Officer who requests proof of payment. I also understand that I must tap my Husky Card on an ORCA reader after exiting a Central Link Light Rail or Sounder train, which ensures the appropriate fare is validated. I understand that I am responsible for paying fares or fees for any services that I subscribe to or use that are not included in the U-PASS Program membership, including, but not limited to, Washington State Ferries service, InterCity Transit, and parking within UW parking facilities. I understand that payment of the U-PASS membership fee does not guarantee a specific level of service provided by the transit agencies participating in the U-PASS Program. There will be no refunds of U-PASS fees in the event of routes being changed, reduced, or cancelled. I understand that I am permitted to have only one active U-PASS Program membership. I understand that the U-PASS function of my Husky Card does not include the same features as a standard ORCA card. Differences include, but are not limited to, the U-PASS function of my Husky Card does not have “Electronic Purse” capabilities and I cannot register my card in the ORCA system. I will immediately report my lost or stolen Husky Card to the office that issues Husky Cards on my campus. I will immediately report my non-performing U-PASS function to the office that issues U-PASSes on my campus whose webpage is available at: www.u-pass.washington.edu. I understand that a replacement fee may be charged at the discretion of the office that issues Husky Cards at my campus for any replacement Husky Card issued to me. I understand that the U-PASS function of my Husky Card may not be activated for use for approximately two (2) days after the issuance of my replacement Husky Card or restored U-PASS function. I understand that I am entitled to no refund for any transit services utilized by me at any time the U-PASS function of my Husky Card is unavailable to me. I understand that if I load additional ORCA products onto my Husky Card, I do so at my own risk. I understand that if I report my Husky Card as lost or stolen or I am no longer eligible for a Husky Card, the U-PASS function of my Husky Card will be disabled resulting in my U-PASS function being permanently blocked from use and potentially resulting in all other ORCA products being permanently blocked from use. I understand that no refunds or replacements will be issued by the University or by the ORCA Agencies for ORCA products I load onto my Husky Card if my card is lost, stolen, damaged or disabled. I understand that the ORCA system will record data each time I utilize the U-PASS function of my Husky Card. Data recorded when I present my U-PASS to an ORCA card reader device includes the date, time, route, transit agency ID, vehicle number, and nature of transaction. I understand that data owned by ORCA is accessible to the University of Washington and may be accessible to the public under state Public Records Law or by court order. I understand that faculty/staff U-PASS Program fees paid through payroll deduction will be automatically deducted each pay period unless I cancel my U-PASS membership. If I have insufficient funds to pay my U-PASS fee through payroll deduction, my U-PASS may be deactivated based on my campus’ U-PASS sales policies and I shall be responsible for any outstanding fee accrued. U-PASS sales policies are specific to each campus program and are available at: www.u-pass.washington.edu. If I am a faculty or staff member at UW Seattle, I understand I will receive notification and opportunity to renew my U-PASS or cancel my U-PASS membership annually. I understand if I pay my U-PASS fees through payroll deduction, I am responsible for making payments until I contact Commuter Services to request cancellation of my U-PASS and have payroll deductions stopped. I understand that a change in employment status does not constitute a cancellation of my U-PASS and that I am responsible for ensuring that my U-PASS is cancelled if I separate from the UW or go on leave without pay. If I am a faculty or staff member at UW Seattle, I understand that if I have insufficient funds to pay the U-PASS fee for two (2) consecutive payroll deductions, my U-PASS will be deactivated and I will need to bring my account out of arrears before my U-PASS can be reactivated. I understand that I am responsible for any outstanding balances accrued before my U-PASS is deactivated. If I am employed on a nine-month appointment and not paid during the summer quarter, my U-PASS will not be deactivated during the summer. In such case, U-PASS charges related to the summer quarter will be assessed in-full from my first paycheck upon resumption of work. If I am a UW Seattle student who obtained my U-PASS through payment of the Universal Student U-PASS Fee, a UW Seattle student who purchased my U-PASS through UW Educational Outreach, or a UW Bothell or UW Tacoma student who purchased a U-PASS, I understand my student U-PASS will be deactivated if I withdraw from classes. If I withdraw on or before the 7th calendar day of the quarter, my U-PASS will be deactivated and 100 percent of the U-PASS fee will be credited to my student account. If I withdraw on the 8th through the 30th calendar day of the quarter, my U-PASS will be deactivated and 50 percent of the U-PASS fee will be credited to my student account. If I withdraw on or after the 31st calendar day of the quarter, my U-PASS will be deactivated and I will receive no credit for the U-PASS fee on my student account. I understand I am responsible for paying any outstanding U-PASS fee owed even though my U-PASS has been deactivated. If I am a UW faculty member, staff member, or Seattle student who purchased a U-PASS on a quarterly basis via cash, check, credit card, or Husky Debit, (quarterly U-PASSes are not available via payroll deduction at all campuses), I understand that I will not receive a refund if I withdraw from enrollment or terminate employment with the University of Washington. I understand that in the event of my withdrawal from enrollment or termination of employment with the University my U-PASS purchased on a quarterly basis will remain active through the remainder of the U-PASS quarterly validity period. The University of Washington (“Lessor”) hereby leases to the undersigned Lessee “locked space for bicycles” for one bicycle as designated below, on the following terms and conditions. “LOCKED SPACE FOR BICYCLES” RENTAL. Lessee shall use the “Locked Space for Bicycles” leased only for the storage of one bicycle at a time in a locked space that is shared by other bicycle users. The annual rate for access to this space is $40.00. Payment is on a fiscal year cycle (July 1 to June 30). Payment made at other times of the year will be prorated to match the fiscal year. Lessee agrees to lease the assigned “Locked Space for Bicycles” for the following period: Annual Rate of $40.00 for July 1 through June 30. “LOCKED SPACE FOR BICYCLES” LEASE RENEWAL. Lessor will notify Lessee of expiration before this Lease expires and provide instructions for renewal. Payment must be received at least five (5) working days prior to the expiration of this Lease. If there is no response, the access code will be deleted. OBLIGATION TO KEEP CONTACT INFORMATION UPDATED. Lessee shall keep their contact information updated with the University. Faculty and staff update their contact information via Employee Self-Service or their payroll coordinator. Students update their contact information via MyUW at http://myuw.washington.edu or the Address Change Telephone Service (206-543-8580). Lessee shall submit descriptions and or registration numbers of any bicycle they store in the “Locked Space for Bicycles”. This information identifying the lessee’s bike(s) will be collected at the time the permit is issued, and it is the responsibility of the lessee to report to Transportation Services any subsequent changes or additions (i.e. the presence of a new bicycle in the space). REFUNDS. If Lessee wishes to terminate the Lease before the end of the annual lease term, the Lessee must notify Lessor. Lessor will refund Lessee on a prorated basis of the annual rental fee. WAIVER OF RESPONSIBILITY. It is mutually agreed that the Lessor is not and will not be held responsible for the safekeeping of Lessee’s bicycle and any property contained in the “Locked Space for Bicycles” assigned hereunder or for any injury or damage arising out of Lessee’s use of the “Locked Space for Bicycles” assigned. It is further agreed that Lessee will make such arrangements regarding insurance coverage for the bicycle as Lessee deems necessary to protect Lessee’s interests in the event of loss or damage. Lessee further agrees to defend and hold Lessor harmless from any injury or damages resulting from Lessee’s use of the “Locked Space for Bicycles.” The Lessor recommends use of one or more bicycle locks inside the “Locked Space for Bicycles” area. COMPLIANCE WITH LAWS AND REGULATIONS. Lessee agrees to comply with all laws, rules, regulations, and any special instructions that may be issued by Lessor or its agents concerning the “Locked Space for Bicycles”. Lessee will not maintain or store anything that may be dangerous to life, limb, or property or use the “Locked Space for Bicycles” in such a way as to create a nuisance or disturbance. Lessee agrees that Lessor or its agent may open and inspect Lessee’s “Locked Space for Bicycles” at any time, with or without notice to the Lessee, for the purpose of observing Lessee’s compliance with this agreement, or to determine whether any health or safety hazard exists. CONDITIONS OF USE. Lessee shall not reassign or transfer this Lease or any interest therein. Lessee’s use of the “Locked Space for Bicycles” is conditional upon (1) the Lessee’s being a current student, faculty, or staff member and (2) the Lessee not intentionally causing loss or damage to University of Washington property or the property of other Lessees with access to the same “Locked Space for Bicycles” area. LONG TERM STORAGE PROHIBITED. The “Locked Space for Bicycles” is provided to facilitate commute-related or campus mobility-related storage of human-powered vehicles. Lessee agrees that their use of the “Locked Space for Bicycles” is related to these purposes, and that any bike they choose to store in the cage will be regularly used. Bikes observed to be left for at least one month without moving will be tagged as potentially abandoned, and will be removed from the cage and impounded if the tag remains in place after two weeks. Per WAC 478-116-605, impounded bicycles will be stored at the university police department. Bicycles will be released at specified times and upon presentation of proof of ownership and payment of a ten-dollar fine. Bicycles unclaimed after sixty consecutive days will be subject to sale at a public auction conducted by the university surplus property department. LEASE EXPIRATION/TERMINATION. If the lease expires and Lessee does not renew, or if conditions of Lessee’s use of the “Locked Space for Bicycles” (Item 7) are not met, this Lease shall automatically terminate and Lessee shall forfeit use of the locked space. This Lease may also be terminated by Lessor for the breach of any of the items and conditions herein. In the event of expiration or termination of the Lease, Lessor will take possession of any contents remaining within the “Locked Space for Bicycles.” Per WAC 478-116-605, impounded bicycles will be stored at the university police department. Bicycles will be released at specified times and upon presentation of proof of ownership and payment of a ten-dollar fine. Bicycles unclaimed after sixty consecutive days will be subject to sale at a public auction conducted by the university surplus property department. Unclaimed property will be tagged as abandoned after one month and impounded in accordance with WAC 478-116-605. The remedies provided herein are in addition to, and are not in lieu of, any other rights which Lessor may have against Lessee. In the event Lessor is required to bring any action or proceeding for the enforcement of the Lease or the collection of any sums which may be due and payable by Lessee to Lessor, Lessee agrees to pay Lessor, in addition to any balance due, Lessor’s expenses and reasonable attorney’s fees. ENTIRE AGREEMENT. This constitutes the entire agreement between the parties. No modification or amendments of this agreement shall be valid unless in writing and signed by both parties. I hereby acknowledge receipt of the code for the above “Locked Space for Bicycles.” I understand that the code remains the property of the University of Washington. I agree not to release the code information to unauthorized persons or use it in a manner other than that for which it was issued. I take full responsibility for not sharing the code during the time it is assigned to me. I will notify Commuter Services immediately upon termination of my current status as an employee or student of the University of Washington or upon termination of the lease, whichever occurs first. LOCKER RENTAL. Lessee shall use the locker space so leased only for the storage of one bicycle and its accessories. Lessee agrees to lease the assigned bicycle locker space for the following period at the applicable rate: Annual Rate of $140.00 for July 1 through June 30. LOCKER SPACE LEASE RENEWAL. Lessor will notify Lessee of expiration before this Lease expires and provide instructions for renewal. Payment must be received at least five (5) working days prior to the expiration of this Lease. If Lessee does not renew this Lease, Lessee must remove all contents and notify the Commuter Services Office at least five (5) working days prior June 30. The contents of the locker space will be impounded as per procedures listed in this Lease upon expiration or termination of this Lease. Failure to return key upon termination of lease will result in forfeiture of the key deposit fee. OBLIGATION TO KEEP CONTACT INFORMATION UPDATED. Lessee shall keep their contact information updated with the University. Faculty and staff update their contact information via Employee Self-Service or their payroll coordinator. Students update their contact information via MyUW at http://myuw.washington.edu or the Address Change Telephone Service (206-543-8580). Lessee shall submit descriptions and/or registration numbers of any bicycle they store in the locker space. This information identifying the lessee’s bike(s) will be collected at the time the permit is issued, and it is the responsibility of the lessee to report to Transportation Services any subsequent changes or additions (i.e. the presence of a new bicycle in the space). REFUNDS. If Lessee wishes to terminate the Lease before the end of the annual lease term, the Lessee must notify Lessor and return the bicycle locker key. Lessor will refund Lessee on a prorated basis of the annual rental fee. WAIVER OF RESPONSIBILITY. It is mutually agreed that the Lessor is not and will not be held responsible for the safekeeping of Lessee’s bicycle and any property contained in the locker space assigned hereunder or for any injury or damage arising out of Lessee’s use of the locker space assigned. It is further agreed that Lessee will make such arrangements regarding insurance coverage for the bicycle as Lessee deems necessary to protect Lessee’s interests in the event of loss or damage. Lessee further agrees to defend and hold Lessor harmless from any injury or damages resulting from Lessee’s use of the locker. COMPLIANCE WITH LAWS AND REGULATIONS. Lessee agrees to comply with all laws, rules, regulations, and any special instructions that may be issued by Lessor or its agents concerning the locker space. Lessee will not maintain or store anything that may be dangerous to life, limb, or property, or use the locker space in such a way as to create a nuisance or disturbance. Lessee agrees that Lessor or its agent may open and inspect Lessee’s locker space at any time, with or without notice to the Lessee, for the purpose of observing Lessee’s compliance with this agreement, or to determine whether any health or safety hazard exists. CONDITIONS OF USE. Lessee shall not reassign or transfer this Lease or any interest therein. Lessee’s use of the locker space is conditional upon (1) the Lessee’s using the locker space an average of three or more days per week throughout the year and (2) the Lessee’s being a current student, faculty or staff member. LEASE EXPIRATION / TERMINATION. If Lessee does not renew the Lease as herein provided and the Lease expires, or if conditions of Lessee’s use of locker space (item 7) are not met, this Lease shall automatically terminate and Lessee shall forfeit use of the locker space. This Lease may also be terminated by Lessor for the breach of any of the items and conditions herein. In the event of expiration or termination of the Lease. Lessor will take possession of any contents remaining within the locker space. All bicycles will be impounded and disposed of by Lessor’s Police Department per Washington Administrative Code 478-116-080(5)(b). Any other property will be sent to the HUB to be treated and disposed of as Lost and Found property in accordance with Lessor’s rules and regulations regarding such property. Lessee shall forfeit key deposit fee. The remedies provided herein are in addition to, and are not in lieu of, any other rights which Lessor may have against Lessee. In the event Lessor is required to bring any action or proceeding for the enforcement of this Lease or the collection of any sums which may be due and payable by Lessee to Lessor, Lessee agrees to pay Lessor, in addition to any balance due, Lessor’s expenses and reasonable attorney’s fees. Lessee hereby acknowledges receipt of the key for the assigned locker, and understands that the key remains the property of the University of Washington. Lessee agrees not to release it to unauthorized persons or use it in a manner other than that for which it was issued. Lessee further agrees not to duplicate it. Lessee will take full responsibility for loss of the key during the time it is assigned. Lessee will forfeit key deposit of $85.00 if the key is lost and must put down a new deposit of $85.00 to obtain a replacement. Lessee understands that failure to return the key immediately upon termination of current status as an employee or student of the University of Washington or upon termination of the lease, whichever occurs first, will result in forfeiture of the key deposit.